Feist wasn't the only buzzworthy Canadian songbird to migrate south last year. 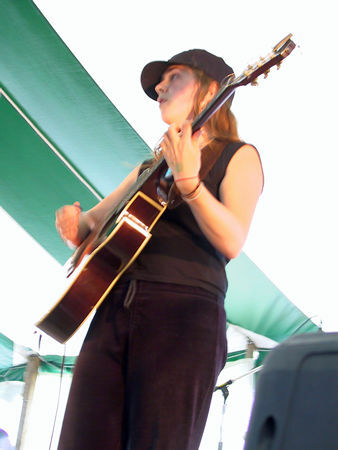 Serena Ryder, an Ontario native, made a splash at SXSW last month behind her outstanding 2006 collection of Canadian cover songs (plus three originals), If Your Memory Serves You Well, a line plucked from The Band's "This Wheel's On Fire". Jazz-sprinkled folk and country abounds over a wide-reaching song selection that allows Ryder to flaunt her vocal versatility a little more than heard on 2004's Unlikely Emergency, on which she conjured inevitable comparisons to [gasp] Alanis Morissette. By contrast, Ryder's pipes on If Your Memory... are steeped more in the territory occupied by Feist, Jolie Holland and Joss Stone (before Joss Stone turned to oversinging and overproduction). Anyway, several catchy tunes on this eclectic lesson in Canadian music history. Pick it up.